We are sad to announce that despite our best efforts the London Radical Bookfair will not be taking place in 2019. This is primarily down to the fact the main hall at Goldsmiths University will be undergoing some essential repairs throughout the year. All being well we will return to the venue in June 2020. 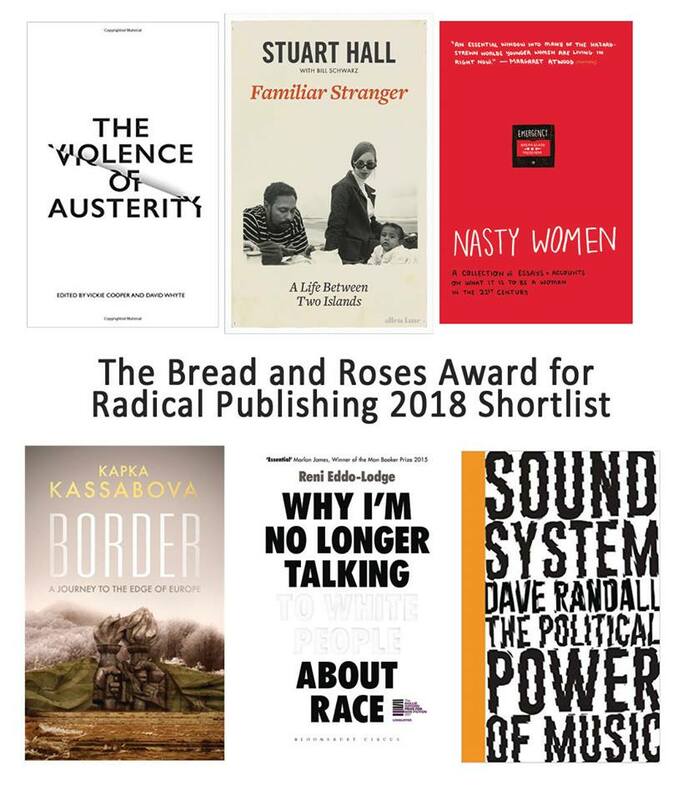 -The Little Rebels Children’s Book Award and the Bread and Roses Award for Radical Publishing will both be going ahead as usual, with award ceremonies taking place in seperate locations. Please visit the respective website for details. And planned for November 2019 will be a Campaigning Conference that hopes to bring together under one roof the broadest range of grassroots campaign groups. Look out for that. Hope to see you at one of the above or else at the bookfair in 2020! A massive thank you to everyone who came down and took part in the LRBF 2018 and made it such a great event. We’ll be back in 2019, and plans are already afoot for expanding the fair. Hope to see you again and till then, keep supporting radical bookshops, bookfairs, publishers, zine makers and campaigns. The London Radical Bookfair, now in its 6th year, is an annual celebration of radical and progressive bookselling and publishing in the UK. Organised by the Alliance of Radical Booksellers, it provides a unique opportunity for the reading public to come together with the best of Britain’s radical booksellers and publishers. The bookfair aims to create a stimulating and inspiring environment: we invite you along to explore the latest debates, literature and campaigns, and to attend the Bookfair’s free programme of talks. We particularly welcome those who are discovering radical politics for the first time. The London Radical Bookfair is a broad church that brings together a variety of traditions within radical and alternative politics, and hopes to make them accessible to a wider audience. You will encounter a wide range of radical literature – books, pamphlets and magazines that contain different ideas and political positions. We ask stall holders and bookfair guests to engage with each other in a spirit of good faith. The Bookfair runs on the enthusiasm and commitment of a small group of volunteers and the strength of mutual respect between our stallholders, speakers and visitors. If an individual acts in a way that is disruptive, abusive or oppressive, please report the matter to the information desk at the main doors and they will in turn alert an organiser. Organisers cannot be expected to immediately adjudicate on the spot over disagreements, but we can promise that any dispute will be dealt with in a patient and non-aggressive manner. The Bookfair will have an official photographer present on the day, particularly to document the awards ceremonies for the Bread & Roses Award for Radical Publishing and the Little Rebels Children’s Book Award. If you do not wish to be photographed please let the photographer know. Filming is not allowed without prior agreement from the Bookfair collective. Save the date for the London Radical Bookfair 2018! This year we will be celebrating the fair on Saturday 2nd of June. The fair will be held for the third year running at Goldsmiths University, South East London. More details to follow soon. In 1979, Conservative central office received a fawning letter requesting a high-quality photo of the then-prime minister Margaret Thatcher. Unbeknownst to those who duly sent it, the black and white photograph was incorporated in the poster shown below. In one simple image, Thatcher’s political duplicity towards women had been laid bare for all to see. This image, titledTough! is just one of the many familiar posters created by the See Red Women’s Workshop, a grassroots feminist collective established in 1974 in London lasting into the early ’80s. The aim of the group was to dismantle pervasive patriarchal attitudes towards gender, race and class. Like much feminist art of the ’70s, the group produced posters, illustrations, cartoons and photographs which ‘deconstructed, questioned and exposed’ negative images of women, such as in advertising, subverting the oppressive messages contained within. ‘Don’t break down, break out’ and ‘So long as women are not free, the people are not free’ are symptomatic of the collective’s approach. These rallying cries were often accompanied with the simplest of designs, lending the posters a DIY aesthetic that in no way undermined them. Indeed, the collective’s slogans and images were intentionally straightforward and accessible yet very effective. As Sheila Rowbotham points out in her foreword to this publication, ‘It’s not actually that difficult to perplex with layer upon layer of words; to clarify abstraction with just a few constitutes a rare skill’. Written by See Red members, this book catalogues the posters they produced and situates the workshop historically, socially and politically. Following the aesthetic principles of the collective, this edition, slightly larger than A4, is simply designed, with a rather utilitarian feel. The text is very accessible, a clearly written introduction describes the political context of the time, how the women got together and why they did so. The introduction also includes some contemporary correspondence and photographs of the workshop and its members at work. The book contains all of the See Red Women’s Workshop original screen prints and posters designed for radical groups and campaigns, including, for example, Greenham Common. Ending the book with short biographies of a scattering of the collective’s members, the women write: ‘we had no eye for posterity’. Many of the original documents and photographs that record the workshop’s history have been lost. However, this book still manages to provide a thorough account of the collective’s work. The writers positively note the resurgence of interest in their output, from galleries, museums, and design festivals, but express the hope that it will be a source of inspiration for younger feminists. As many of the posters’ messages are still relevant, the images will no doubt strike a chord and inspire the current generation of feminists, especially those oriented towards DIY activism and zine production. The See Red’s Women Workshop will be discussing their book in a free talk at the bookfair. No need to book, all welcome. Details here. Deptford and New Cross in S.E. London have long and surprisingly radical histories which have played a central role in English life: e.g. from the so-called <Peasants Revolt> 1381 to the deadly New Cross Fire (1981) which led to UK’s largest ever Civil Rights demonstration. For centuries Deptford was the headquarters of English colonialism (Raleigh, Frobisher, Drake etc.). The neo-baroque Deptford Town Hall (1905) was built to celebrate the area’s maritime grandeur which by then had come to an end; its iconography offers an opportunity to deconstruct that problematic past. Goldsmith itself has produced some outstanding figures in art and culture e.g. Malcolm McClaren who began his career as a promoter here. Goldsmith was at the heart of many radical protests e.g. the Battle of Lewisham 1977 where the violent Far-Right, National Front, were massively outnumbered and defeated. 5000 police outnumbered both sides. Ray is presently writing a new book (‘ The Last Queen of Scotland’) and play about the Scot & civil rights activist Kath Duncan. She played a central role in the Battle of Deptford Broadway (1932) which played a big part in the formation of the NCCL (Liberty’s predecessor). Experienced guides Ray Woolford and Tim Gluckman will lead the walk. The walk starts at 3pm and should finish around 5.15pm; suitable for wheelchairs, pushchairs and people with limited mobility. The eventbrite link will be posted shortly.